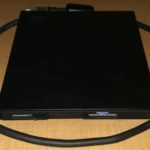 In addition to simple AC adapters, I have a few external accessories to complement the models of ThinkPad that I showcase on my site. 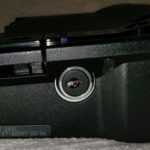 This post outlines those devices. 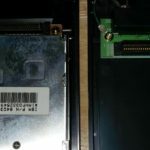 I received this together with my T21, which it is compatible with. 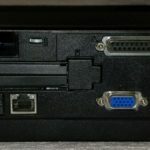 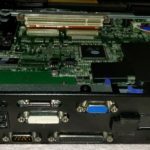 It is a full-featured docking station, featuring an internal power supply, UltraBay 2000, additional CardBus slots, and a full size PCI slot in addition to standard connectors you might expect on a dock. 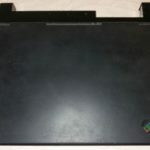 It essentially converts the ThinkPad into a desktop-replacement computer. 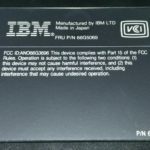 I received this together with my XGA 760E; it is compatible with both of my 760E units. 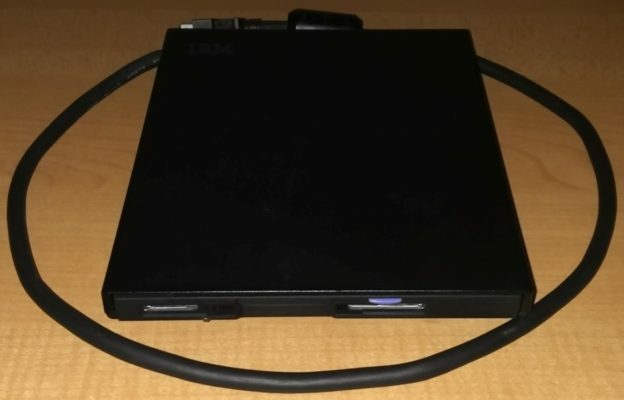 This is not a full docking station but rather a modular interface that sandwiches between the ThinkPad and a higher-feature dock, but can also be used on its own as a basic port replicator. 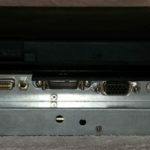 I happened upon this on eBay unintentionally, and realized it seemed to have the same connector as my XGA 760E. 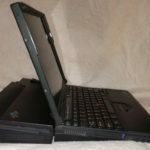 I offered $5 and got it, and it turned out to be the right drive for that machine, which has an internal CD-ROM drive with no floppy drive. 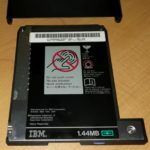 My usage goals for the machine don’t necessitate having this drive, but it’s always better to have more options rather than fewer for getting files onto and off of older systems. 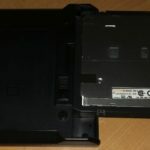 The housing can easily be opened, revealing a similar floppy drive modular “pack” as is used inside period ThinkPads, consisting of a Teac FD-05HG with an adapter. 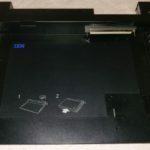 This was offered up for free, just pay shipping, on a forum I participate on. 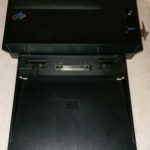 When I realized it seemed to be compatible with my ThinkPad 600, I claimed it. 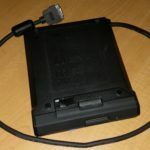 Similar to the 760 external FDD, it is a housing/enclosure that holds a period ThinkPad internal floppy drive, consisting of a Teac FD-05SLHG with an adapter and some mounting parts. 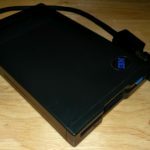 Note: this enclosure uses the same 26-pin connector as the PC 110 floppy drive, but cannot be used for booting the PC 110 until modifications are performed to the drive enclosure. 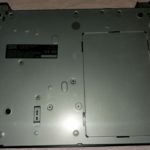 I will be documenting those modifications in a future post. 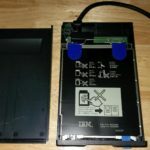 This enclosure cannot be used with adapter 08K6359 in order to work with the ThinkPad 235, which uses its parallel port for its external floppy drive.